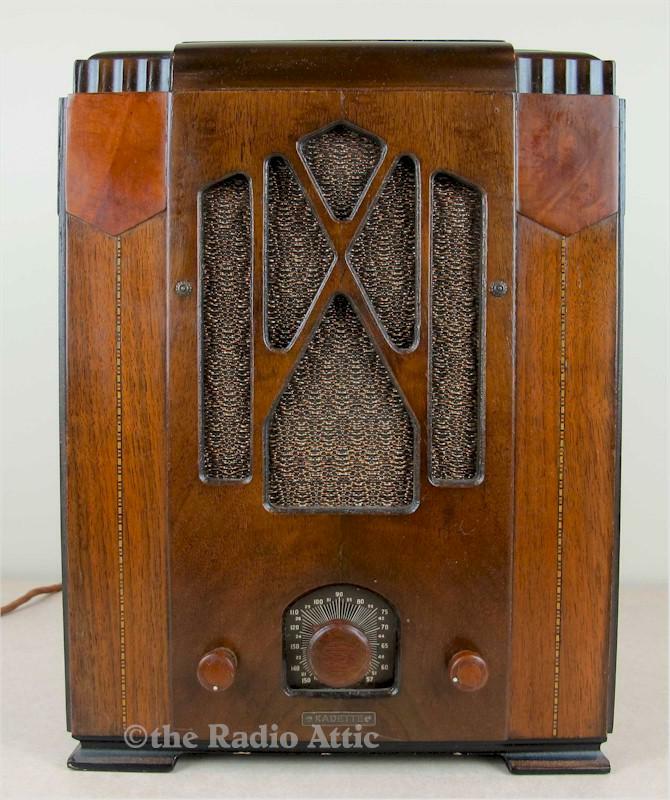 This Kadette is a wonderful example of how manufacturers competed for consumer demand during the Golden Age of Radio. Even inexpensive models such as this one were carefully crafted with amazing veneer inlays and Art Deco wood patterns designed to make them stand out from the competition. This little gem is in magnificent condition in every way. First, the cabinet is in nearly perfect original condition with the original grille cloth, knobs and dial lens. Very few antiques over 80 years old retain their original finish to this degree. The fully restored chassis is exceptionally clean and it plays very well. It weighs 12 pounds; 14-3/4"H x 11"W x 7-1/4"D.